With its first album of new material since 2003, Blur arrives to act as if nothing has changed since the late ’90s heyday of the neo-Brit-pop it helped to pioneer. Don’t call “The Magic Whip” a comeback effort. Instead, consider it a more mature reiteration of what made the band so much cooler than the more commercially successful Oasis in the first place. Think the Kinks, or more specifically, think Ray Davies, leader Damon Albarn’s inspiration, still. You can hear Davies from the get-go, in the fey but memorable melody pushing opener “Lonely Street” along as if the Kinks’ “Village Green Preservation Society” was always a more significant album than “Sgt. Pepper.” Hear him again in the halting, stop-start meanderings of the gorgeous “New World Towers,” a psychedelic lollipop of a tune bathed in spacey Farfisa organ and subtle washes from guitarist Graham Coxon. None of this is to suggest that Blur is simply the sum of its influences. In fact, “The Magic Whip” is stuffed with the sort of irreverent independent spirit that has long informed anything Albarn’s name is attached to. 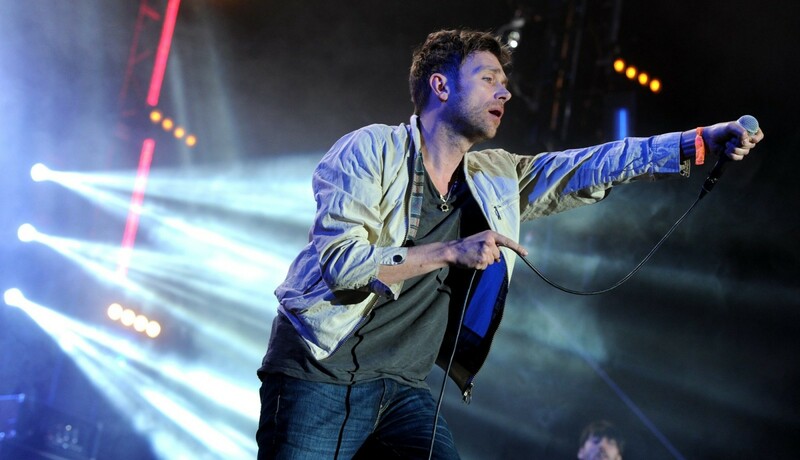 Because Blur never really cared to be the biggest band in the world – the group always appeared to be more concerned with entertaining itself, first and foremost – its return after a decade-plus of silence lacks even the hint of desperation or forced bids for relevance. It just sounds like another great Blur album. And that’s more than enough. There wasn’t much doubt for many of us about the most galling injustice at the recent Oscars. It was the judgment that drummer Antonio Sanchez’s extraordinary improvised drum score for the Oscar-winning “Birdland” was ineligible for Best Musical Score. The category winner was, to be blunt, one of the least creative and interesting hacks in the Hollywood film scoring profession. The compensatory news about Sanchez may not bring him to the attention of a billion people around the globe, but it has glories of its own. He has just released this two-disc set that will be, no matter what else happens in jazz recording in 2015, among the greatest jazz discs of the year. “Three Times Three” is sensational. So Sanchez on drums anchored three separate trios featuring those musicians: one with pianist Brad Mehldau and bassist Matt Brewer; another with guitarist John Scofield and bassist Christian McBride; and a third with tenor saxophonist Joe Lovano and bassist John Pattitucci. Not all the compositions are Sanchez’s. The set closes with Lovano, Pattitucci and Sanchez playing Monk’s “I Mean You” and laughing with joy when it’s over. It opens with an askew recomposition of Miles Davis’ “Nardis” – made famous by Bill Evans called “Nar-This” with Mehldau and Brewer. What astonishes in every one of these trios – especially the Lovano trio – is the amount of wild abandon and musical freedom by all three members of each aggregation. Behind everyone else’s pyrotechnics, Sanchez is sensational. His primal drum fire in this set, it seems to me, has made the great drummer’s leap into the post-Modern Olympus that includes the likes of Elvin Jones, Tony Williams, Jack DeJohnette and (a little lower down) Jeff “Tain” Watts. For a jazz drummer, there is no higher place to reside. American mezzo-soprano Isabel Leonard, who has made several memorable appearances recently with the Metropolitan Opera, is of Argentinian ancestry on one side of her family. That side shines in this Spanish song recital, which includes music from Catalonia, Castile, Andalusia and Cuba. The mournful and beautiful Mompou song that opens the disc could be considered the highlight; it is that beautiful, rendered even more so by Leonard’s dark, rounded voice. Leonard also brings great tenderness to Xavier Montsalvatge’s “Cinco canciones negras,” which includes the famous lullaby “Cancion de cuña para dormir a un negrito.” A few other songs might also be familiar, such as the beautiful “Nana” by Manuel de Falla. I love some of the lesser-known gems, such as de Falla’s art song “Madre, todas las noches” and another song in which a mother prays to the infant Jesus that her son will not be a soldier. And though the texts and translations could be better organized – you’ll want to pencil in track numbers – I’m grateful for them, and for the readable liner notes. Brian Zeger does a good job with the atmospheric and sometimes demanding piano accompaniments. It sounds like quite the adventure, “The President’s Own” United States Marine Band playing Bach’s Toccata and Fugue in D Minor, the Lento Assai from Rachmaninoff’s “Symphonic Dances,” or Debussy’s “The Submerged Cathedral.” But when you listen to these artful arrangements, it really isn’t that much of a stretch. The band’s sound is so smooth and sculpted that you would think you were listening to a classical ensemble. The disc culminates in Moussorgsky’s “Pictures at an Exhibition,” complete, which appears right at home with this configuration of instruments. Even the “Ballet of the Unhatched Chicks” sounds light and whimsical. There is also “Sibling Rivalry,” a brash and jazzy suite by David Rakowski. An unexpected bonus is the wonderful liner note booklet, which goes into great historic detail and thoroughly explores the history of every piece. You can read about controversy regarding the authorship of Bach’s great “Toccata and Fugue” (though I can’t imagine anyone other than Bach could have written it); Rachmaninoff’s religious convictions; and myths that inspired Debussy. There are photographs of Debussy, Ravel and Rachmaninoff that you hardly ever see. I wish the photos weren’t so small. Vinyl was more fun. But I admire this CD for reaching for the stars in more ways than one.